Between Cross St. and Richmond St.
Four Generations of Fine Italian Cuisine! Boston’s historic North End is known for its many Italian restaurants. Over the last 80 years, many of these establishments have come and gone. None have stood the test of time quite like Mother Anna’s. Established in 1932, Mother Anna’s has passed through four generations of families. John Caparella, along with his three sons, have carried on the tradition that his grandmother started 79 years ago. The last 20 years have brought on many changes in the North End. The number of restaurants have gone from the single digits, back in the early days, to close to a hundred. Also, the old Central Artery that had divided the North End for so many years, has since disappeared. Mother Anna’s has now become the gateway to the North End. On a beautiful summer night, a table on the now famous patio gives customers a view of the Boston skyline that can only be experienced at Mother Anna’s. Mother Anna’s should not be missed! 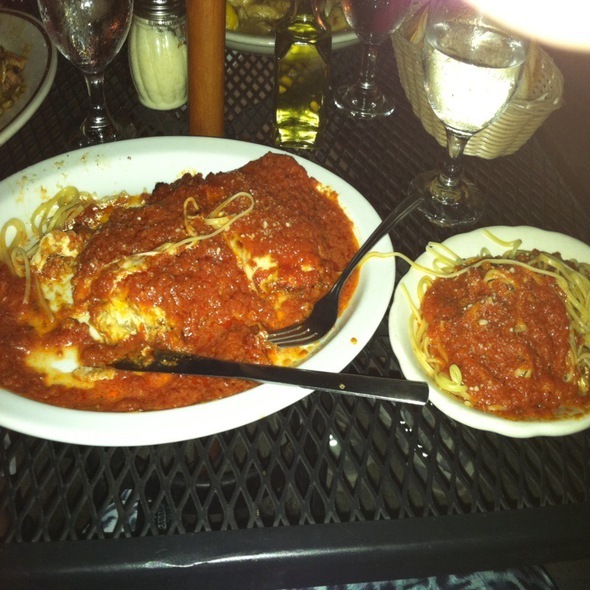 Delicious chicken parm for my son and yummy pollo Venezia for me. Divine tiramisu and cappuccino. All in all an amazing visit to the North End. Delicious food, prompt courteous wait staff. It was a perfect evening. Specials were excellent. Salads not memorable. Atmosphere low keyed which was welcome. Friendly staff. Neighborhood restaurant atmosphere. We got off to a very rocky start. Dirty dishes and silver are a big no-no! After ordering a few of the specials, we were told they would come with salad. I don't know why some restaurants refuse to pay the salad any attention. It was pale, wilted, almost browning lettuce, a huge hunk of un-ripened tomato, a single black olive, and a sprinkling of canned green beans. Yes, for those who didn't catch that the first time, I'll repeat myself: CANNED GREEN BEANS. Pale, tasteless, mushy, but plenty of that gross canned flavor green beans. WTF? The place could definitely do with a bit of updating. The bathrooms are a nightmare. The only thing that saves it is the outdoor patio, which is a rarity in the North End. Especially with a beautiful view of the city skyline. As I have noted in other reviews, there are literally dozens of other restaurants in the North End that are all fabulous. To complete, you have to be fabulous, and Mother Anna's just isn't. Food and service great, owner super friendly. This was not our first visit and we returned for the food and atmosphere. So we made our reservation 90+ days in advance. I am still dreaming about our pre Boston Marathon carb loading dinner. It's a definitely a new tradition and we look forward to coming back next year! Our reservation was confirmed by OpenTable via email as 4:00 pm, yet Mother Anna's called the day before to confirm the reservation for 5:00 pm. Our party was fine with the adjustment and they added 2 more seats to our reservation, but the person calling me said that this time discrepancy had never happened before with OpenTable. We loved our dinner, service, and evening there beginning at 5 pm. Love Mother Anna's, we visit whenever we're in town and always recommend this to others. Great food - entertaining staff. Very accomodating with a dairy allergy. Much appreciated. My wife got her favorite food, shrimp exquisito, and it was excellent. 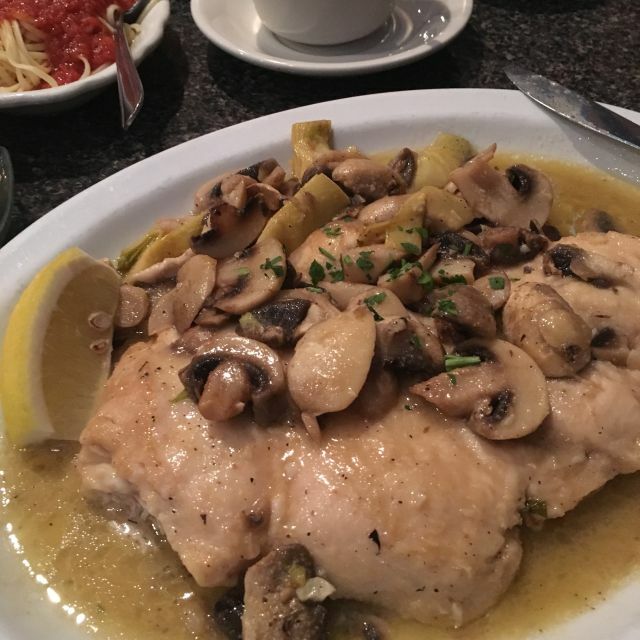 Our daughter had chicken Marsala and the waitress offered the Marsala sauce on the pasta side dish which she enjoyed. Great litt spot in the North End. It's been a favorite of my wife and I for many years. The food and service was excellent. I would highly recommend this restaurant. 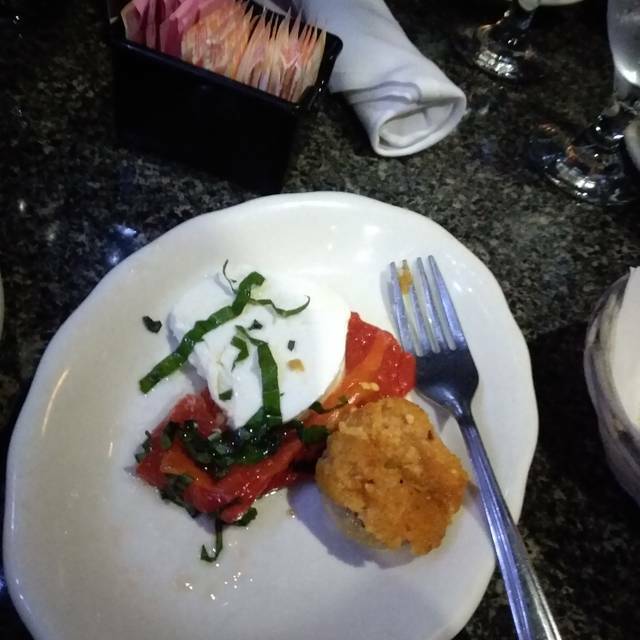 The food was authentic Italian cuisine and the service was great. Had a wonderful time for my wife’s birthday dinner. Food was great and so was the service. Very tasty food at super reasonable prices! Delicious chicken and eggplant dish! Great char-grilled chicken! Terrific gnocchi! Awesome lobster ravioli! Very friendly service. Staff was dry friendly food and drinks were awesome! Food was amazing! I had the lobster ravioli and it was delicious. It was very loud/busy so if you are looking for a quiet restaurant this isn't for you. If you are looking for fun, high energetic place - this is it! Seemed understaffed, which hasn't been a problem in past visits to this restaurant. No host/hostess available on arrival. Took about 20 minutes after reservation to be seated. Server only stopped by our table a few times; he seemed overbooked on tables. Food was very good, though salads are only okay. We Love Mother Anna’s!! We visit every time we are in Boston! The food and service is the best! We had a great dinner/family time Saturday night...our waiter was excellent! Thank you! Incredible rich complex and tasty tomato sauce. Love all their parmigiana dishes especially their famous eggplant. Large portions, quality veal and shrimp dishes, nothing could be better or needs to be improved. Awesome food at cheap prices. Our waitress, Constance made the experience wonderful. She was a phenomenal professional and really knows her job. She refilled glasses without having to be asked. Her timing was perfect. She was friendly and always had a smile on her face. The food was excellent. I was disappointed that although I made a reservation for 5, the hostess seemed surprised that we were there. She quickly threw a 5th plate onto a table for 4. I saw other tables for 6, where 5 people were seated. And we had a reservation. The ambiance is acceptable but not at a crowded table for 4. People were brushing by our 5th person throughout the entire meal, making it uncomfortable. This was our first visit to Mother Anna's and not sure I would return for this reason alone. It's too bad. We were celebrating a 50th birthday. Had I known it was going to be so uncomfortable, I would have chosen a different location. Dinner was delicious. Service was excellent. My brother and I eat here at least once a month. Best food in the North End. Mother Anna's has wonderful service and delicious food. I think with a wooden floor it would look a lot nicer but otherwise atmosphere was fine. Great food and service I would recommend to anyone try this restaurant. This is a restaurant where one can take family. It's a good example of the restaurants common to the North End years ago. The food is very good with excellent service. 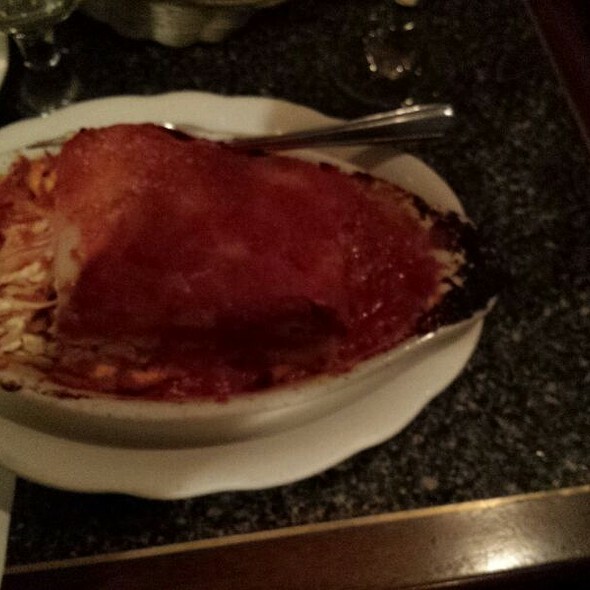 I always order the Eggplant Parmesan and I've never been disappointed. There is no problem here with sharing a dish. Delicious food at a good price. Great spot for Italian. Old-school feel will bring back memories of family dinners. Authentic italian American cuisine. Wonderful service and a very diverse menu of entrees. You will not be disappointed. Best deal of the North End. First time for us - wanted to go to to an old time north end staple vs. the newer restaurants and we weren't disappointed! Excellent food, friendly service, nice ambience - especially the view of the city. Can't wait to take the neighbors there! Thank you! Very disappointed, I heard rave reviews but the server was not very polite, and never brought our drinks. The chicken parmigiana was good but the pasta was too salty to eat. Everything was great except for our pathological lying server. I asked if I could change the side of pasta from linguine with red sauce to have Alfredo sauce, no we can’t do that. Asked a few other options, she said they weren’t able to do any of them. Finally saw they had a section of seafood pastas 3 different types of pastas, 3 different types of seafood (shrimp, scallops, and lobster). I asked if I could get the fettuccine with scallops and lobster. What do ya think she said... nope we can’t do it. I said that makes no sense, so eventually she said she’d ask the kitchen. Comes back, “we will allow you to do that”. Get my food and it has a brown looking sauce on it, I asked her what that was, she says “Marsala sauce, did you not want that?” I said “no, why does it have Marsala?” She said “all of those seafood pastas in that section come with Marsala”. I was a bit confused as that’s never been a typical sauce for seafood pasta dishes and I couldn’t remember exactly what the menu said so I said okay can you change it and she had it remade. During that time I took a look at the menu, no where did it mention the word Marsala in that section of pastas. Before we left I asked the single host who was running the show the whole night if I could see a menu, then I asked her, pointing to the section of pastas I ordered from, “what sauce would you serve with these” she said “a white or garlic white wine sauce”, so I said “thanks, just so you know I was given Marsala sauce and blamed for the mistake of the order”. I would like to think the other staff would be more open to pleasing the customer and not lie about their food, because all other places I’ve been in the north end are very willing and accommodating. She was the only thing that had a negative impact on the experience, other than that I was very pleased.